The Moon boasts an unexpected variety of landscapes – including volcanic features, sinuous valleys and ghost craters – which are readily visible from Earth. This practical guide explains and demonstrates how you can capture impressive images of our nearest neighbour in space using a variety of different techniques. As the first guide to be dedicated to modern lunar imaging, this volume offers an in-depth and illustrated approach to common optics, the essentials of digital images, imaging devices, and image processing software. 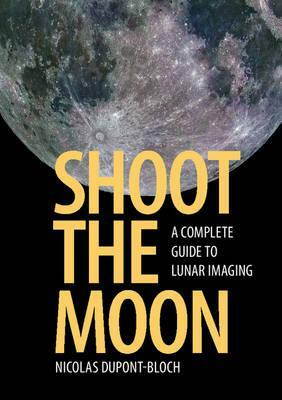 Even in light-polluted areas, the countless features and finest details of the Moon can be captured by following the instructions in this comprehensive and accessible guide. Covering equipment ranging from smartphones and DSLRs to specialist planetary cameras, whether you are a novice without a telescope, an amateur developing your skills in imaging, or an experienced astrophotographer, you will benefit from the hints, insights and expertise within. Nicolas Dupont-Bloch is an amateur astronomer based in Sautron, near Nantes, France. He has previously published two books in French and has translated a third into English. Many of his images have been showcased in Astronomie magazine and chosen as the Lunar Picture of the Day (LPOD). This is his first English astrophotography guide. Introducing lunar imaging; 2. Choosing your imaging equipment; 3. Adapting your image device to the instrument; 4. Tuning your telescope for lunar imaging; 5. Wide-field, lunar imaging; 6. High-resolution, lunar imaging; 7. Essential image processing; 8. Advanced image processing; 9. Making 3D lunar images; 10. Measuring and identifying lunar features; 11. Photogenic features of the Moon; 12. Naming, archiving, printing and sharing lunar images; Appendix: maps of the Moon, Lunar 100 and other targets; Web pages, books and freeware for the Moon.